Washington has hit an unlikely roadblock in its extraordinary global push to sideline China’s Huawei Technologies Co: The world’s biggest democracy, India. Policy makers and telecommunications firms here are so far largely unpersuaded by US warnings that using Huawei’s equipment to upgrade India’s telecom networks presents a major cybersecurity threat, according to more than a dozen government officials and industry executives. Many argue that any such risk is outweighed by Huawei’s cut-rate prices and technological prowess. “The perception here is that the US action is more a matter of foreign policy,” said Rajan Mathews, director of the Cellular Operators Association of India. The widespread skepticism is turning India into an unexpected battlefield in Washington’s yearslong effort to head off the Chinese company’s dominance of the coming generation of mobile technology known as 5G. While India’s 5G development is still in its infancy, the heft of the Indian market means the direction the South Asian country takes could make or break US efforts to thwart Chinese influence in other nations that have yet to choose a side, analysts say. For years, many officials assumed India would stay in the US corner given its own longtime rivalry with China. “India, Japan, these are all huge markets that if they were to go Huawei it would have significant impact on the global telecommunications infrastructure,” said Andy Keiser, a former House Intelligence Committee staff member. The case US and allied officials are making to India, as with other countries, is that in China’s authoritarian governing system Huawei has no choice but to comply with demands of the Chinese government and its ruling Communist Party, making it a potential tool for espionage or disruption, according to people familiar with those discussions. That lobbying effort suffered a setback this week when German officials said the government there is leaning toward letting Huawei play a role in building out the nation’s high-speed internet infrastructure. 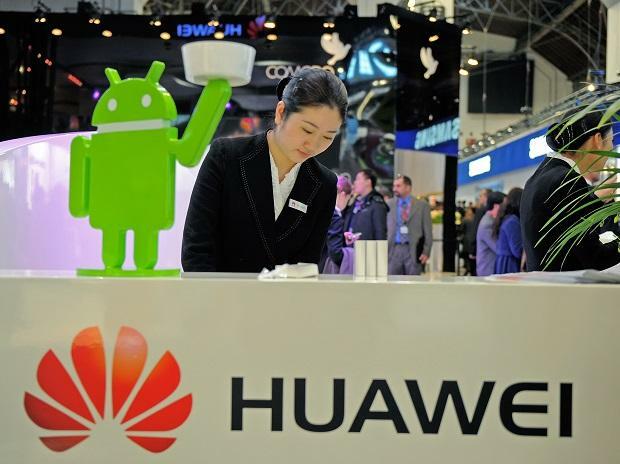 A recent probe by Germany’s cybersecurity agency with help from the U.S. and other allies failed to show that Huawei could use its equipment to clandestinely siphon off data, according to senior agency and other government officials. India’s Home Ministry, which oversees the country’s security, earlier this month said in a memo to the Prime Minister’s Office, the head of the National Security Council and others that American officials have expressed worries to them about Huawei’s growth in India, according to a senior government official with direct knowledge of the matter. “The U.S. side is concerned,” said the memo, portions of which were read to The Wall Street Journal. A spokesman for the U.S. Embassy in New Delhi didn’t respond to requests for comment. Huawei has consistently denied it is behind any corporate espionage, and has repeatedly challenged the U.S. to provide public evidence that its gear has ever been weaponized as a surveillance tool. Its founder last month said his company has never spied for the Chinese government and won’t in the future. The U.S. government is “undertaking a well-coordinated geopolitical campaign against Huawei,” one of the company’s three rotating chairmen, Eric Xu, told international media last week at the company’s campus in Shenzhen, China. In the Philippines, a key U.S. ally in Asia, lawmakers citing security concerns inserted a provision into the country’s annual budget passed earlier this month blocking funding for a $400 million video surveillance project that would use Huawei gear. The deal was signed in November, during Chinese President Xi Jinping’s trip to the country, the first visit by a Chinese leader to the Philippines in 13 years. But India has made no such moves to crack down on the Chinese firm. Home to a population of some 1.3 billion people, India has seen its internet economy explode in recent years. Hundreds of millions of consumers have gotten online for the first time via inexpensive smartphones connecting to wireless networks running 2G, 3G and 4G. The first stage enabled voice communications on mobile devices, 3G allowed apps to flourish, and 4G brought much faster connection speeds. But 5G wireless networks may be more revolutionary yet, powering automated cars, allowing for real-time virtual reality, and enabling objects such as heart monitors to be internet-connected. Indian telecom companies in recent years have slashed data rates by up to 90%, offering earlier-generation 4G connections for less than $2 a month in some plans. Mobile carriers, despite some of the lowest average revenues per user in the world, are expected to spend an estimated $100 billion over the next five to seven years to build out their 5G infrastructure, according to an Indian government report last year. Spencer Kurn, a New York-based analyst at research firm New Street Research, said the amount spent in India will likely be closer to $30 billion during that time. Still, the coming outlay means the telecom companies need to save every rupee they can, with auctions for new 5G spectrum in India expected this summer and potential rollout as early as next year. Huawei’s full-court press to try to lead the development of 5G was on display at a five-star hotel last March in the southern Indian port city of Chennai. The Chinese company sent 40 representatives to the 5G standards-setting meeting, in which companies hammer out the specifications for the technology, more than any competitor but Samsung Electronics Co.. Between breaks from meetings in conference rooms at the hotel, backpack-toting Huawei workers gathered in enclosed smoking rooms or chatted in English with fellow engineers from rival companies, sometimes breaking away and discussing proceedings in Mandarin. India remains wary of China, but firms in India’s highly competitive telecom industry need the attractive deals Huawei is offering, and they reckon America’s security concerns are overblown. A senior Indian government official with direct knowledge of the matter said India wants to move quickly to reap rewards of 5G, and that it will choose vendors “on our terms, not under pressure” from the U.S.
Equipment suppliers must receive formal approval from the government to participate in trials with mobile operators. Huawei is awaiting approval for such trials in India. The person said American officials have been pushing Indian policy makers to engage with American firms such as Qualcomm Inc., a major Huawei competitor. Meanwhile India’s Telecom Equipment and Services Export Promotion Council, an industry group of domestic and foreign telecom equipment and services firms, in recent weeks has written to the head of India’s National Security Council seeking a ban on Huawei gear on national security grounds, according to a senior government official. Among members of the group, which was established in 2008 by the Indian government, are the local Indian affiliates of Finland’s Nokia Corp. and Sweden’s Ericsson AB. Huawei and ZTE Corp., a smaller Chinese firm that also makes 5G equipment, aren’t part of the organization since they only import gear into India, according to officials in the group. India’s telecommunications industry is heavily reliant on imported equipment, which makes up 90% of gear in use. That makes it fertile ground for Huawei technology. Hundreds of billions of dollars are expected to be spent on equipment to enable connections between smartphones and eventually also cars, factory parts and other machinery in the years to come. Last year Huawei commanded about 30% of the global telecom-equipment market, far ahead of Finland’s Nokia Corp. and Sweden’s Ericsson AB, according to research-firm Dell’Oro Group. In India, Huawei has 15% to 20% of the market, according to the Dell’Oro Group. “Huawei’s position in India is weaker than its global average,” a Dell’Oro spokeswoman said. Reliance Jio Infocomm Ltd., India’s third-largest telecom company by subscribers, picked South Korea’s deep-pocketed Samsung to build its state-of-the-art 4G network and is planning to begin a 5G trial with the company as early as next month, according to a person familiar with the matter. The country’s second-largest phone company, Bharti Airtel Ltd., last year conducted a 5G trial with Huawei and is teaming up with Ericsson for more tests. Vodafone Idea Ltd., the top carrier in India, is also exploring a 5G trial with Huawei. Spokesmen for the carriers declined to comment. The pressure by the U.S. to pick a side presents a particularly painful dilemma for developing countries, such as India. They are just beginning to update their internet infrastructure. For them Huawei is a potentially critical supplier of quality hardware at highly competitive prices, so bowing to U.S. demands to shun the company could mean falling behind technologically or paying more for non-Chinese gear. In India, with hundreds of millions still unconnected, U.S. heavyweights such as Amazon.com Inc., Walmart Inc. and others are investing billions of dollars in a bet on the country’s future. The Obama administration early on identified cooperation with India as a top strategic cybersecurity priority, channeling conversations through the State Department, Department of Homeland Security and the White House to reach agreements on sharing cyber threat information and on a broader framework outlining mutual cybersecurity priorities, said Chris Painter, the former top cyber diplomat at the State Department during the Obama administration. Huawei wasn’t a major focus of those conversations at the time, Mr. Painter said, but Indian counterparts shared U.S. alarm about Beijing’s unrelenting cyber theft of intellectual property from private industry. The Indian army uses Chinese communications equipment even in some of the country’s sensitive border areas with China, though the government tries to ensure Chinese gear is prohibited from accessing the military’s internal network, said an official who used to work there. “India has gone pro-U.S. in a very significant manner over the years, but I wouldn’t say it’s anti-China,” said G.K Pillai, India’s former home secretary.